I am beginning this piece with a disclaimer: Iâ€™m writing about Corbett vs. Dempsey, and I work at Corbett vs. Dempsey. I work there, and I do so because itâ€™s a place that I am excited to walk in to in the morning. Itâ€™s a place where I can be challenged, where I can always learn something new, and Iâ€™m conscious that my time there leaves me feeling energized and enthusiastic when I go home. I was not paid to write this, nor do I intend it to be a sales pitch for the gallery. 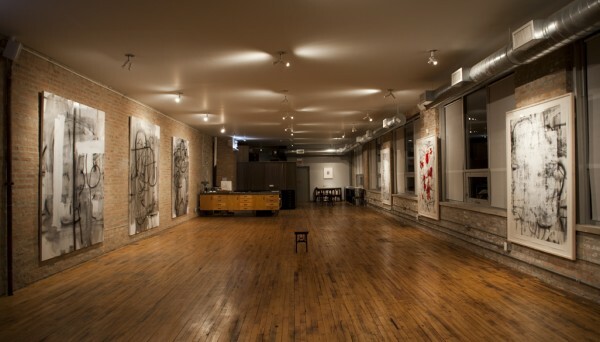 However, it is one facet of my experience of the art world in Chicago, and I hope that my interview with John Corbett and Jim Dempsey can provide some useful insights into a gallery that seems to hold a treasured place in many Chicago hearts. 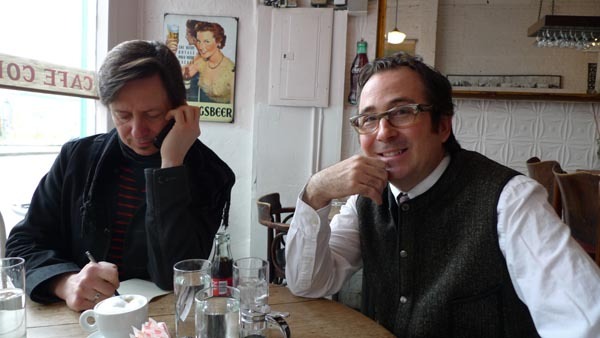 One of things I find most interesting about John Corbett and Jim Dempsey is that they both do so many other things outside of running a gallery. Jim is the house manager at the Gene Siskel Film Center, and has been involved with the Film Center for decades. 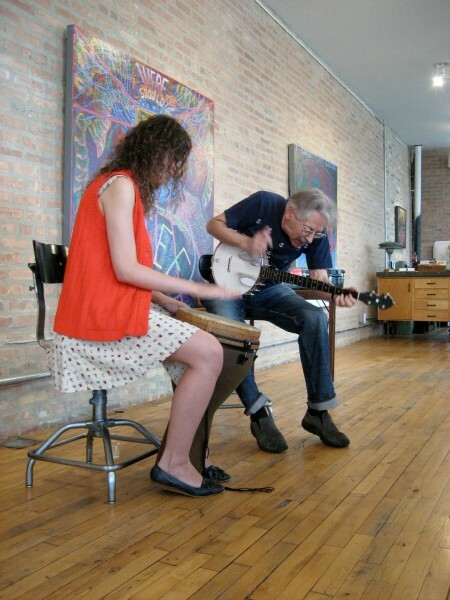 John has taught at the School of the Art Institute (SAIC) since 1988, he is a freelance writer, he performs with his spouse Terri Kapsalis, and he is also immersed in the free jazz and experimental music scene. Their diverse interests allowed them to meet over a decade ago in 2000 (mutually enthusing over Sun Ra), and have continued to sustain the life and energy of the gallery since 2003. JH: I think part of what drives the energy of the gallery, and both of your energies, has to do with all of the other things that you do outside of these walls. I have wondered if the gallery could even exist if you didnâ€™t do all of these other things, because you wouldnâ€™t be talking to the same kinds of people and be in the same kinds of settings. What projects are you working on right now that donâ€™t relate specifically to the gallery? JH: You see a lot of interesting people at the Film Centerâ€”didnâ€™t you often run into Vivian Maier? JH: John, what else have you been up to? JH: Arenâ€™t you working with J.C. Gabel on a couple of projects? 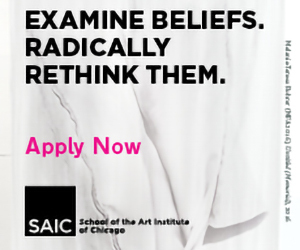 JH: John, I wondered if youâ€™d thought about how your experiences learning here at the gallery have influenced your teaching at SAIC. JC: â€œI think that the early years that I was [at the gallery], I ended up very much being a Chicago booster in my teaching. I found it affecting things. I am generally appalled at the way that art history works. I think the way that historiography works is very problematic. It works too much like the normal gallery world works, the way that it accumulates. The way that what we end up with is the sum total of people reading one another and crafting arguments based on what theyâ€™ve argued, rather than doing primary research and coming up with their own conclusions. If they were doing more of that, weâ€™d end up with much richer, less narrow set of people that weâ€™re talking about, just very basically. You start talking to art historians about people who fall not so far from the tree, and they donâ€™t know who the hell youâ€™re talking about. And thatâ€™s even true in specialist niches. Iâ€™m not knocking art historians, but Iâ€™m saying this is an artifact of the way that academics works. 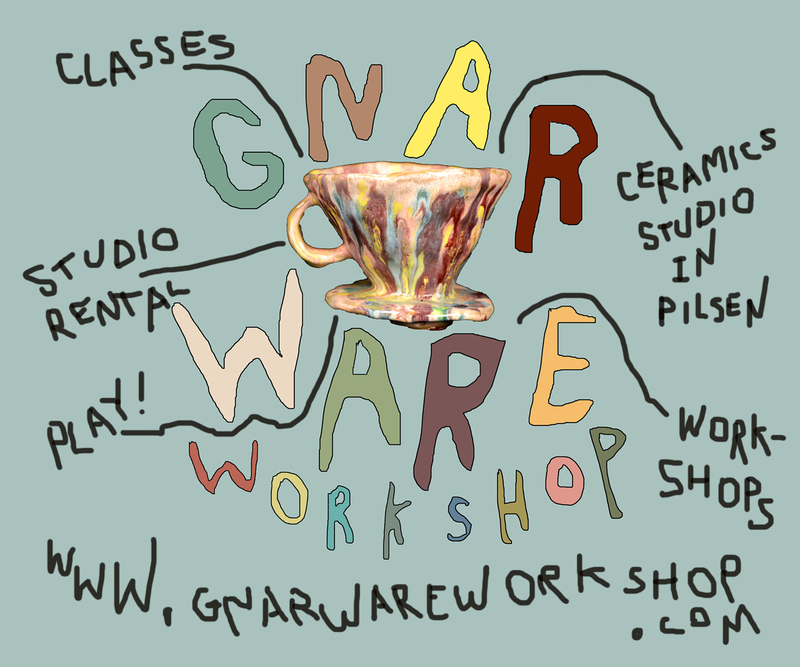 When I was first here and realizing what a wealth of people there are in Chicago, that Iâ€™m teaching at an art school in Chicago and that those [Chicago] people donâ€™t get talked about, I couldnâ€™t contain myself. I would say the first four or five years that I was doing this and doing that, a lot of the energy I had, teaching-wise went into teaching classes, the basics of which were about region. Or trying to infiltrate some of the standing art history with a little bit of a sense of outrage that there wasnâ€™t more interest in a wider canon. One that would include as common knowledge what was going on, not only in Chicago, but in San Francisco, in LA, in London, in all of these major centers. Chicago is one of the major cities in the United States and just had no profile on a national scene: it just seemed ridiculous. JH: You two are collaborators together, and I think thatâ€™s a really unique thing about the way that you exist in the art world, because itâ€™s still a very masculine-centered world. Probably itâ€™s a lot easier for two men to run a gallery, rather than if you were two women doing it. But what I appreciate is that youâ€™re not â€˜monolithic mavericks,â€™ running an institution that is one name only; youâ€™re doing it together, and I think it tempers the phallocentric nature of the business. JH: I like the idea of you two starting a business with virtually no gallery experience, and I wonder if you could talk about some important things that youâ€™ve learned over the years about running a business in the art world. Was there a point that you remember thinking, â€˜Oh. Weâ€™re a gallery now.â€™? JC: â€œWe try to make decisions not always based on the bottom line, but really thinking about things as cumulative and long-term. All of the things that we do, they create a sense of goodwill. They createâ€”to use a flogged-to-death termâ€”â€˜communityâ€™ around a set of objects and ideas. JH: In a 2006 Bad at Sports podcast, Jim, you described the gallery as a place where â€œwe hang the work and tell the stories.â€Â Is that still the case? What stories have you told recently? If youâ€™re interested in joining the conversation about art or music this weekend, on Saturday, February 26th at 2:00pm Brian Labycz will be playing the solo synthesizer at the gallery, amidst Peter Saulâ€™s paintings and drawings (1120 N. Ashland, 3rd floor). Julia V. Hendrickson is a native of eastern Ohio who lives and works as a visual artist, writer, and curator in Chicago, Illinois. In 2008 she graduated with a B.A. in Studio Art and a minor in English from The College of Wooster (Wooster, Ohio). Julia is currently the gallery manager at Corbett vs. Dempsey, as well as the office manager and design assistant for Ork Posters. 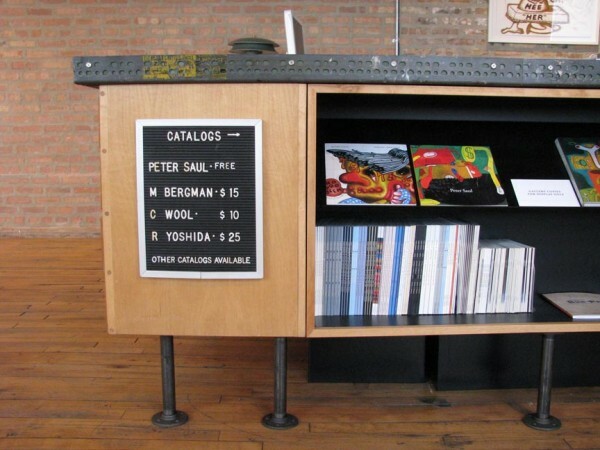 She is a teaching assistant at the Marwen Foundation, an active member of the Chicago Printers Guild, and has taught at Spudnik Press. A freelance art critic and writer for Newcity, Julia also keeps a blog called The Enthusiast, a documentation of the daily things that inspire, intrigue, and inform. She is currently exhibiting at Anchor Graphics (Columbia College Chicago) in a solo show titled FANTASTIC STANZAS, on view through March 26th.